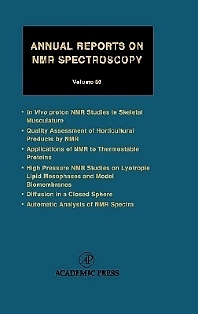 Automatic Analysis of NMR Spectra. Annual Reports on NMR Spectroscopy has established itself as a means for the specialist and non-specialist alike to become familiar with new applications of NMR Spectroscopy in all branches of chemistry. Nuclear magnetic resonance (NMR) is an analytical tool used by chemists and physicians to study the dynamics of molecules. Physical chemists, organic chemists, NMR spectroscopists, material scientists, inorganic chemists.